BigMIND allows the user to restore the data to a newly created database, as well as restoring it over an existent one. Open BigMIND desktop client on your machine → Click the Restore option on the Dashboard. 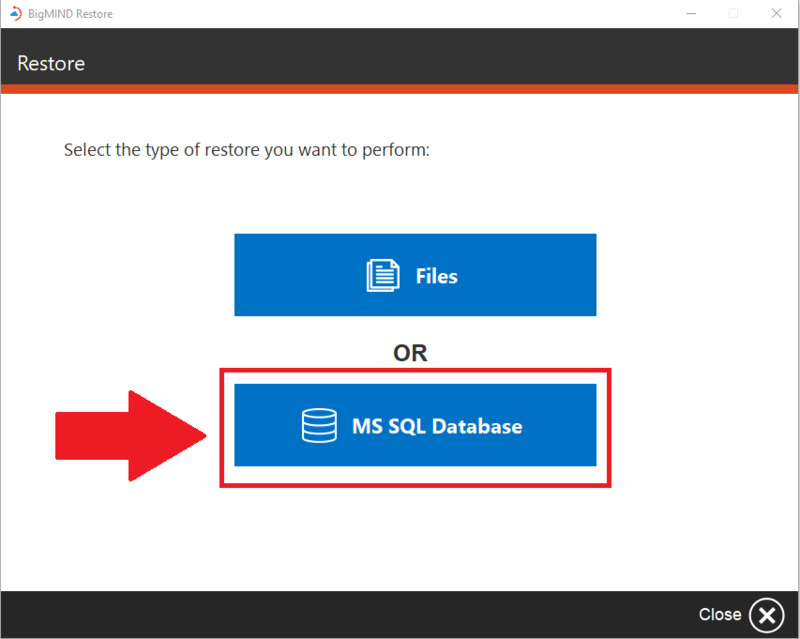 In the Restore window, select the MS SQL Database option. 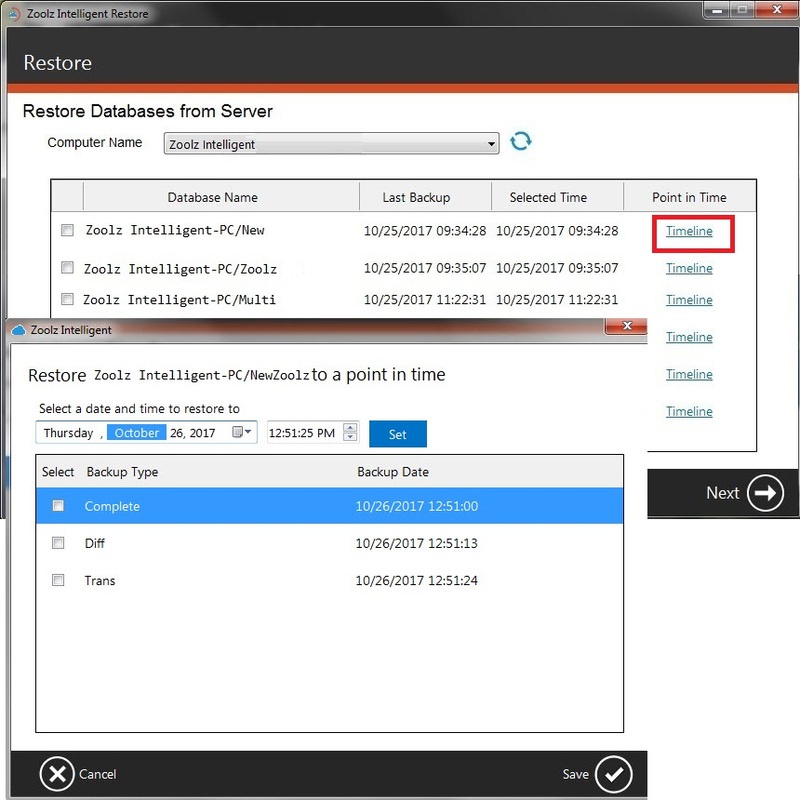 From the available databases list, select the database you wish to restore. 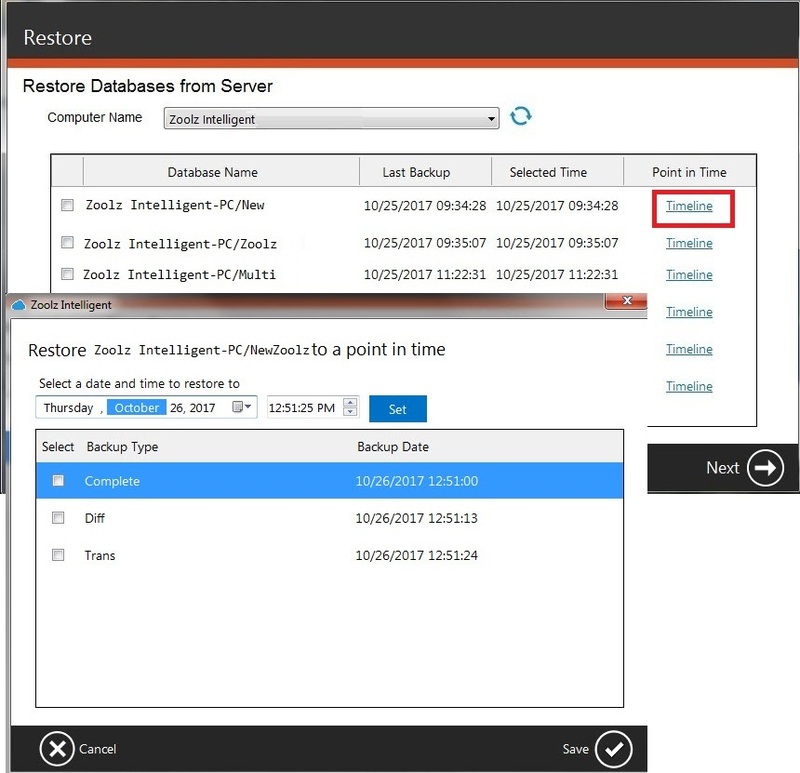 You can also click the Timeline option for the selected database in order to select a specific date and time to restore to. 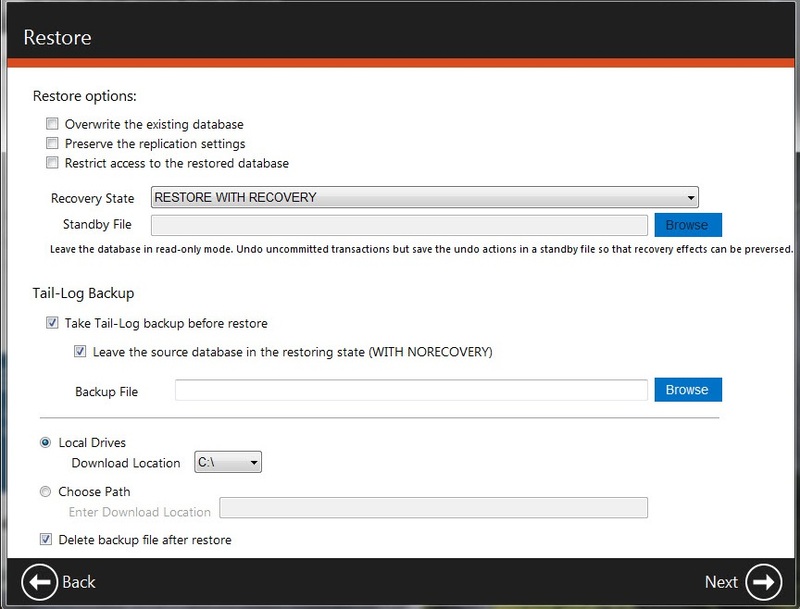 Set the restore options as you prefer and click Next option to start the restore.